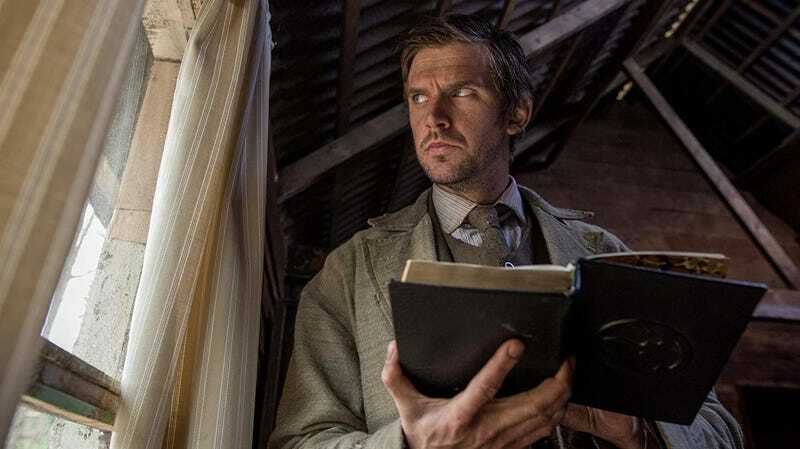 Dan Stevens stars in Gareth Evans’ latest, Apostle. It seems like any time a major Hollywood film is announced, fans want Gareth Evans to direct it. Evans is known for making arguably two of the best action films ever, The Raid and The Raid 2, and yet, somehow, has yet to make one of those big studio movies everyone is so eager to see him do. Apostle, which Evans wrote and directed, is a two-plus hour period film about a man who travels to a remote island to find his kidnapped sister. It’s not just the furthest thing from a big budget superhero movie, it’s a huge departure from The Raid films for which Evans is so well-known. Gareth Evans debuting Apostle at Fantastic Fest 2018. Like that film, which Evans never finished, Apostle begins with Dan Stevens’ character, Thomas, getting an envelope with a rose petal in it, which sets him off on a dangerous journey to infiltrate a cult and find his sister. But Evans didn’t just want Apostle to just be a rescue movie. He set it in the past, which added one layer, made it about a religious cult, which was another, and gave the island several supernatural elements that brought it all together. Michael Sheen preaching to his cult in Apostle. To give specifics on what those elements are would be a disservice to Apostle, which is an effective, captivating film with some truly wild twists and turns. However, when you watch it, do not go in expecting it to be The Raid. However, while there is some worry now that the film is done, there was none of that while making it. Because Evans didn’t feel like he had to continually build to epic, martial arts set pieces, Apostle allowed the director to explore other aspects of filmmaking. Evans on the set of The Raid 2. Apostle is hugely cinematic, with incredible visuals and even better sound. However, because it was made for and by Netflix, most people won’t ever get to fully experience the film on the big screen. Surprisingly, Evans is fine with that. Neither, it turns out, was going from martial arts action to period supernatural horror. Apostle comes to Netflix October 12.